Kerlone is used for treating high blood pressure. It may be used alone or with other medicines. It may also be used for other conditions as determined by your doctor. Kerlone is a beta-blocker. It works by slowing down the heart and decreasing the amount of blood it pumps out. This helps to decrease blood pressure, helps the heart pump more efficiently, and reduces the workload on the heart. This may not be a complete list of all interactions that may occur. Ask your health care provider if Kerlone may interact with other medicines that you take. Check with your health care provider before you start, stop, or change the dose of any medicine. Use Kerlone as directed by your doctor. Check the label on the medicine for exact dosing instructions. Take Kerlone by mouth with or without food. Kerlone works best if it is taken at the same time each day. Continue to use Kerlone even if you feel well. Do not miss any doses. If you miss a dose of Kerlone, take it as soon as possible. If it is almost time for your next dose, skip the missed dose and go back to your regular dosing schedule. Do not take 2 doses at once. Ask your health care provider any questions you may have about how to use Kerlone. 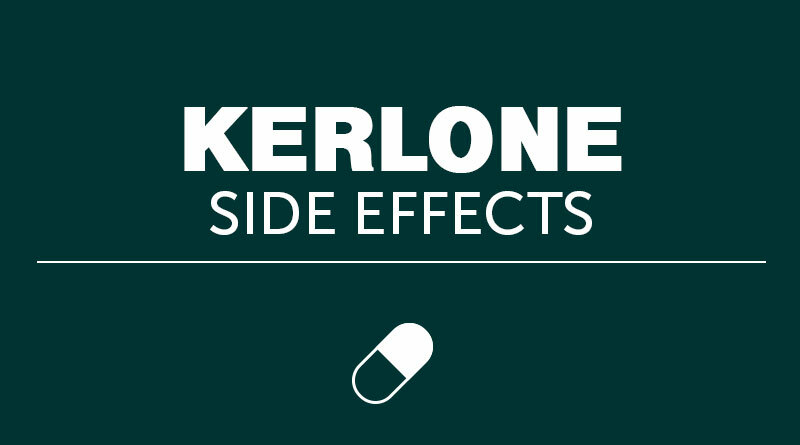 Kerlone may cause drowsiness, dizziness, or light-headedness. These effects may be worse if you take it with alcohol or certain medicines. Use Kerlone with caution. Do not drive or perform other possibly unsafe tasks until you know how you react to it. Kerlone may cause dizziness, light-headedness, or fainting; alcohol, hot weather, exercise, or fever may increase these effects. To prevent them, sit up or stand slowly, especially in the morning. Sit or lie down at the first sign of any of these effects. It may take 1 to 2 weeks for Kerlone to reach its full effect. Do NOT take more than the recommended dose or stop taking Kerlone without checking with your doctor. Do not suddenly stop taking Kerlone without first checking with your doctor. If your doctor decides you should no longer use Kerlone, you will need to stop Kerlone gradually according to your doctor’s instructions. Kerlone may mask certain signs of overactive thyroid (eg, fast heartbeat). If you have or may have an overactive thyroid, do not suddenly stop taking Kerlone. Suddenly stopping Kerlone could worsen your condition. Discuss any questions or concerns with your doctor. Diabetes patients – Kerlone may affect your blood sugar. It may also hide signs of low blood sugar, such as a rapid heartbeat. Be sure to watch for other signs of low blood sugar. Low blood sugar may make you anxious, sweaty, weak, dizzy, drowsy, or faint. It may also make your vision change; give you a headache, chills, or tremors; or make you hungrier. Check blood sugar levels closely. Ask your doctor before you change the dose of your diabetes medicine. Tell your doctor or dentist that you take Kerlone before you receive any medical or dental care, emergency care, or surgery. If you have a history of any severe allergic reaction, talk with your doctor. You may be at risk of an even more severe allergic reaction if you come into contact with the substance that caused your allergy. Some medicines used to treat severe allergies may also not work as well while you are using Kerlone. Kerlone may interfere with the glaucoma screening test. Be sure your doctor and lab personnel know you are taking Kerlone. Lab tests, including blood pressure, may be performed while you use Kerlone. These tests may be used to monitor your condition or check for side effects. Be sure to keep all doctor and lab appointments. Use Kerlone with caution in the ELDERLY; they may be more sensitive to its effects, especially slow heartbeat. Kerlone should be used with extreme caution in CHILDREN; safety and effectiveness in children have not been confirmed. PREGNANCY and BREAST-FEEDING: If you become pregnant, contact your doctor. You will need to discuss the benefits and risks of using Kerlone while you are pregnant. Kerlone is found in breast milk. If you are or will be breast-feeding while you use Kerlone, check with your doctor. Discuss any possible risks to your baby. Diarrhea; dizziness; drowsiness; headache; heartburn; indigestion; joint pain; light-headedness; nausea; sluggishness; tiredness; trouble sleeping; weakness. Severe allergic reactions (rash; hives; itching; difficulty breathing; tightness in the chest; swelling of the mouth, face, lips, or tongue); blue or unusually cold hands or feet; chest pain; confusion; decreased sexual ability or desire; fainting; fever, chills, or persistent sore throat; mental or mood problems (eg, depression, short-term memory loss); severe or persistent dizziness or light-headedness; severe or persistent stomach pain; shortness of breath; slow or irregular heartbeat; sudden, unexplained weight gain; swelling of the arms, hands, legs, or feet; unusual bruising or bleeding; unusual tiredness or weakness. Contact 1-800-222-1222 (the American Association of Poison Control Centers), your local poison control center, or emergency room immediately. Symptoms may include difficult or slowed breathing; fainting; pale or blue skin; seizures (convulsions); severe dizziness or light-headedness; shortness of breath; slow heartbeat; sudden, unexplained weight gain; swelling of the arms, hands, legs, or feet; wheezing. Store Kerlone between 68 and 77 degrees F (20 and 25 degrees C). Store away from heat, moisture, and light. Do not store in the bathroom. Keep Kerlone out of the reach of children and away from pets. If you have any questions about Kerlone, please talk with your doctor, pharmacist, or other health care provider. Kerlone is to be used only by the patient for whom it is prescribed. Do not share it with other people. This information should not be used to decide whether or not to take Kerlone or any other medicine. Only your health care provider has the knowledge and training to decide which medicines are right for you. This information does not endorse any medicine as safe, effective, or approved for treating any patient or health condition. This is only a brief summary of general information about Kerlone. It does NOT include all information about the possible uses, directions, warnings, precautions, interactions, adverse effects, or risks that may apply to Kerlone. This information is not specific medical advice and does not replace information you receive from your health care provider. You must talk with your healthcare provider for complete information about the risks and benefits of using Kerlone.